The Hard Rock Riviera Maya is a Caribbean paradise, featuring oceanic lagoons with private beach access, sure to make your destination wedding truly photogenic. The grounds feature lush flora and the rooms feature rocknroll details which will hit all the right notes for you and your wedding guests. Wedding guests will be transported to a tropical oasis thanks to the winding main pool and the connecting bridges that cross over it. There are multiple wedding gazebos and beachside venue options, which means wedding couples can really find their ideal ocean backdrop. The grounds are split between the Hacienda section which allows adults and kids and the adults-only Heaven section. If a wedding’s ceremony or reception is on the Heaven side guests under 18 won’t have access to it. Free one-hour cocktail reception for a booking of 29 room nights or 5 – 9 rooms for a minimum of 3 nights. Free private two-hour function (may include dinner and/or cocktail reception) for a booking of 30 room nights or 10 – 19 rooms for a minimum of 3 nights. Free private three-hour function for a booking of 60 room nights or 20 – 24 rooms for a minimum of 3 nights. | Themed two-tier wedding cake. Each package welcomes 32 guests. Hard Rock does offer a complimentary wedding package that includes a free and minimally white setup but will incur a fee of $1000 if booked 30 days prior to the event. 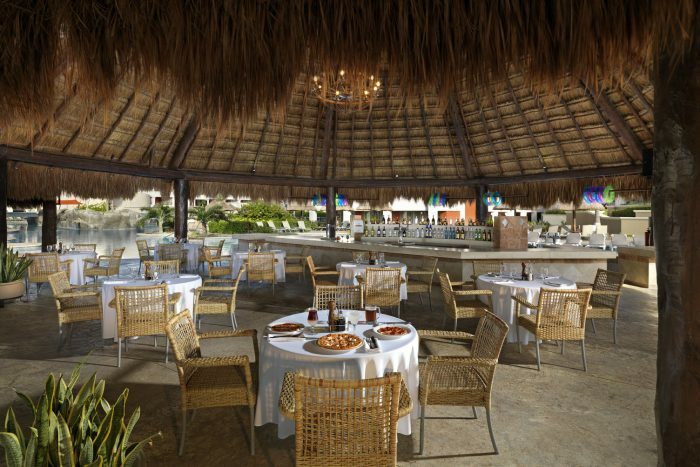 Hard Rock Riviera Maya offers a wide range of decor setups and can accommodate Indian weddings. Upgraded packages, additional guests, and add-ons are available for an additional cost. Ocean side – unlimited capacity, Wedding Gazebos – 100 guests max, Chapel – 100 guests max. Heaven (adults-only): Ocean side – unlimited capacity, Wedding Gazebos – 100 guests max. Due to the size and number of venues on site Hard Rock Riviera typically hosts up to 8 weddings per day. 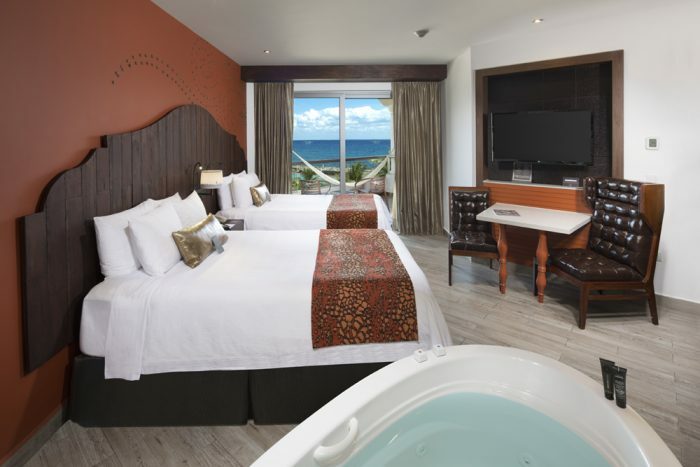 Hard Rock Riviera Maya offers 687 rooms at the Hacienda section and 577 rooms at the Heaven section, with garden, resort, or ocean front views. The resort is recommended for more active guests due to the sprawling nature of the property. 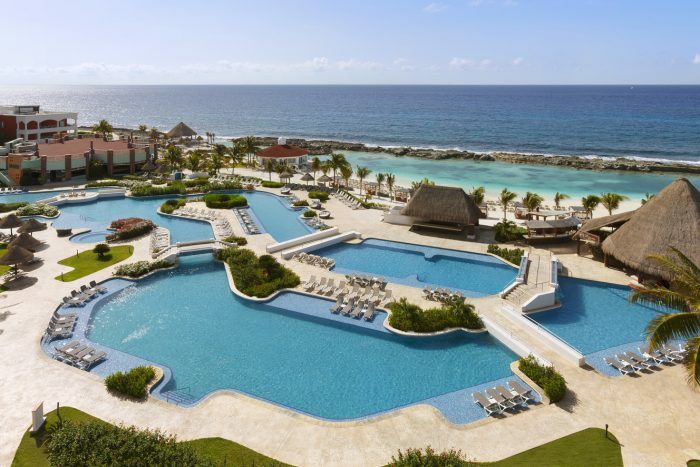 Each section (Hacienda and Heaven) offers its own sea cove lagoon, pools, bars and wedding gazebos. Adults can go into either section but anyone under 18 will be stopped at sections bearing the Heaven markers. The resort is located 43 miles from the CUN airport. Each package welcomes 32 guests. Hard Rock does offer a complimentary wedding package that includes a free and minimally white setup but will incur a fee of $1000 if booked 30 days prior to the event. 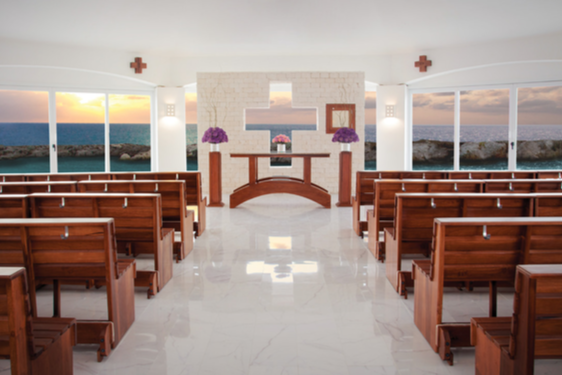 Hard Rock Riviera Maya offers a wide range of decor setups, due to the amount of venues and weddings that occur reguilarily, a venue isn’t guaranteed until 30 days before the ceremony, based on each wedding’s guestlist size. Indian and South Asian weddings are available. Upgraded packages, additional guests, and add-ons are available for an additional cost. A: I myself have coordinated over 400 weddings and counting. A: They mostly love how friendly our staff is and how beautiful the beaches are! Q: What makes Hard Rock Cancun a great place for a destination wedding? 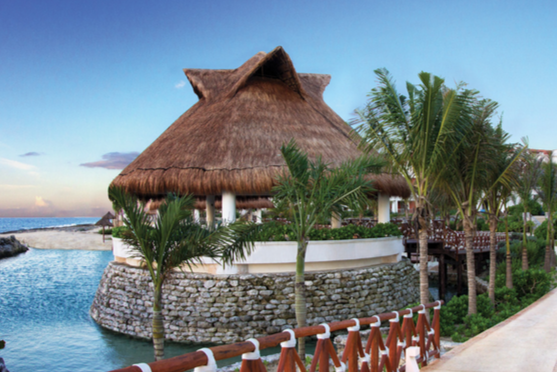 A: The Hard Rock Resorts have something to offer each one of our guests. We have a bunch of entertainment and fun for the whole family but if he/she wants to relax and lounge they will be able to do so as well. 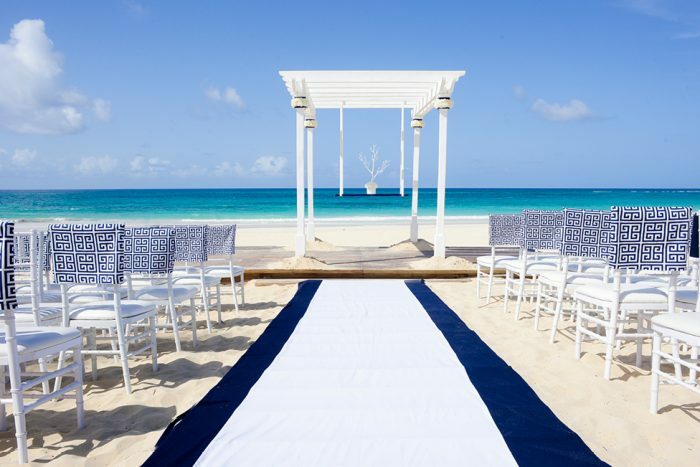 Destination weddings are a mixture of wanting to have fun and relax so our resorts work perfectly. Q: Who is the target demographic of the Hard Rock Cancun resort? A: Everyone and anyone wanting to relax and have fun on their vacation. We have the ability to cater to all different ages and interests. – The Hard Rock Resort’s wedding packages were designed by world renowned celebrity party planner Colin Cowie who has worked for the likes of Jennifer Aniston, Tom Cruise and Oprah Winfrey. – Hard Rock Riviera Maya will host Rock Getaway Festival towards the end of October! The 2017 edition includes classic rock legends such as Santana and REO Speedwagon. 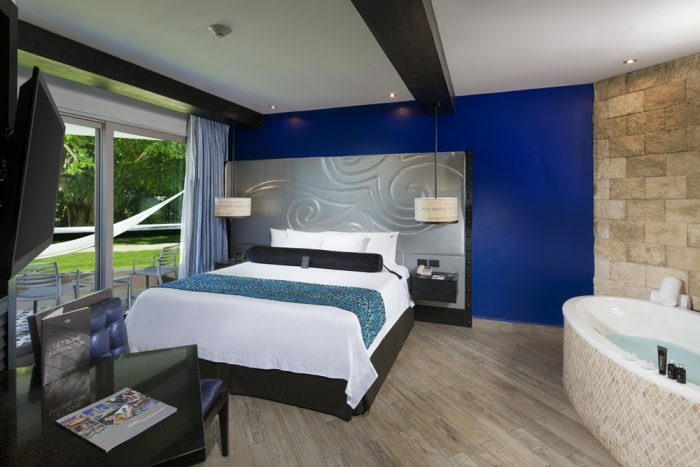 – The Rockstar suite at the Hard Rock Riviera Maya pays homage to rockstar Bret Michaels and includes interior details he codesigned with the Hard Rock team along with some of his cherished memorabilia. – The Temazcal spa treatment offers a unique twist on relaxation, and there is even an on-site Shaman to help guests with alternative stress release and therapy.